The Hawke Frontier HD X binoculars come with the same waterproofing to IPX7 standard and fog proofing as the ED X versions. This means they have can operatein temperatures from -15 to +55 degrees C , and can be stored in temperatures from -40 to +70 degrees C. A final check sheet is included with your purchase. 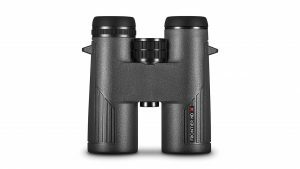 All of the above means these binoculars are perfect for those who go out hiking and bird-watching in extreme weather conditions. Unlike the similar Frontier ED X , the HD X do not have ED glass, but do have the same dielectric coated prisms for outstanding brightness. Available in 10x and 8x , with a choice of 32mm or 42mm objective lenses in green or grey.The lightweight magnesium alloy chassis makes the 42mm model around 30g lighter than the equivalent single hinge sapphire version. This entry was posted in Hawke Binocular Reviews and tagged hawke. Bookmark the permalink.